Anna Guest-Jelly has connected yoga to many people who would have otherwise found yoga to be “not for them” because a crucial need was not met — the instructors were not teaching for all sizes. Anna is a she-ro of mine because she saw a problem and addressed it. BOOM! Curvy Yoga was born! Tune in to hear us discuss the powers of movement that has nothing to do with weight loss. 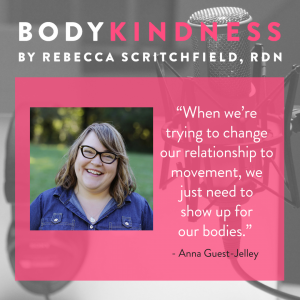 We chat about the value of creating spaces where weight loss talk is off the table — even if people really are hoping to change their bodies. 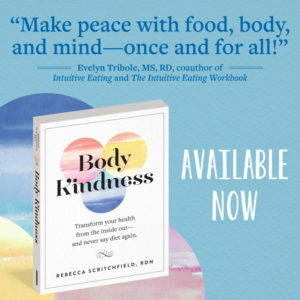 Finally, we discuss why connection is essential to help us get to know ourselves and our patterns that can help reduce judgments and shame. 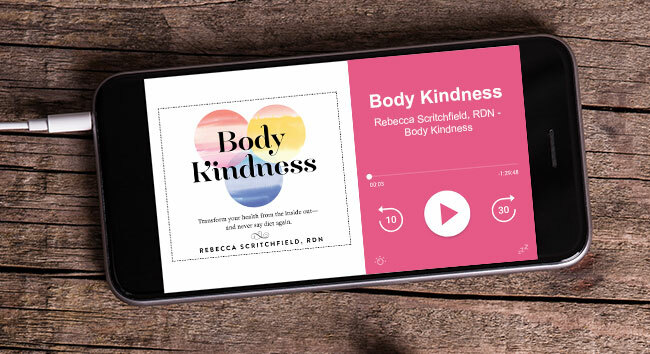 After listening to this show, you’ll understand how the right fit yoga classes and experiences can absolutely open you up to reframing how movement fits into your life, the reasons why you move, and how you can show up for your body with compassion. Anna Guest-Jelley is the founder of Curvy Yoga, an online yoga studio and teacher training center that helps people of all shapes and sizes find true acceptance and freedom, both on and off the mat. 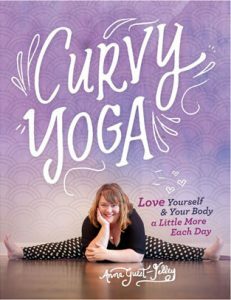 Anna is the author of Curvy Yoga: Love Yourself & Your Body a Little More Each Day (Sterling) and the co-editor of Yoga and Body Image: 25 Personal Stories About Beauty, Bravery & Loving Your Body (Llewellyn). Anna and Curvy Yoga have been featured online and in print at The New York Times, The Washington Post, US News & World Report, Yoga International, Yoga Journal, and many more.